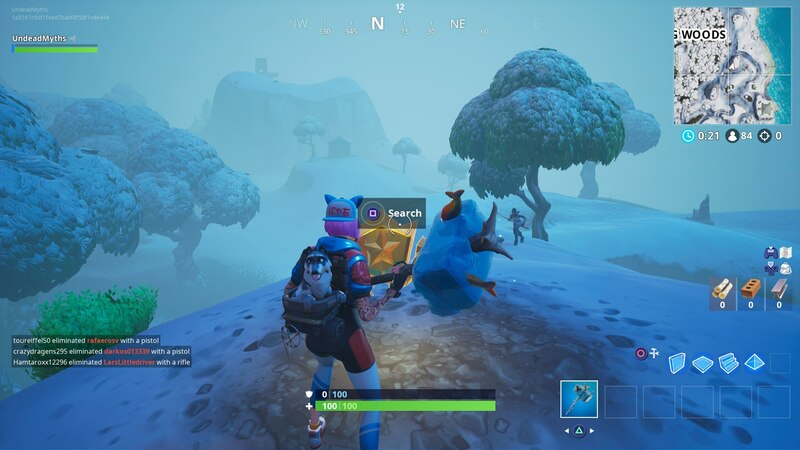 In the range of Fortnite Week 8 Challenges, there’s one that’ll task you with searching ‘between a mysterious hatch, a giant rock lady, and a precarious flatbed.’ In this Fortnite Mysterious Hatch, Stone Lady, Precarious Flatbed guide, we’ll be walking you through how to complete this challenge as quickly as possible. But if you're only just getting started with Battle Royale, you can head over to our complete Fortnite guides hub. Here you can find our beginner's guide to the game, as well as list of essential tips and tricks that all Fortnite players should know. Well, this is a bit of an enigmatic challenge. Just below, you can see the full range of challenges for this week in Fortnite Battle Royale. 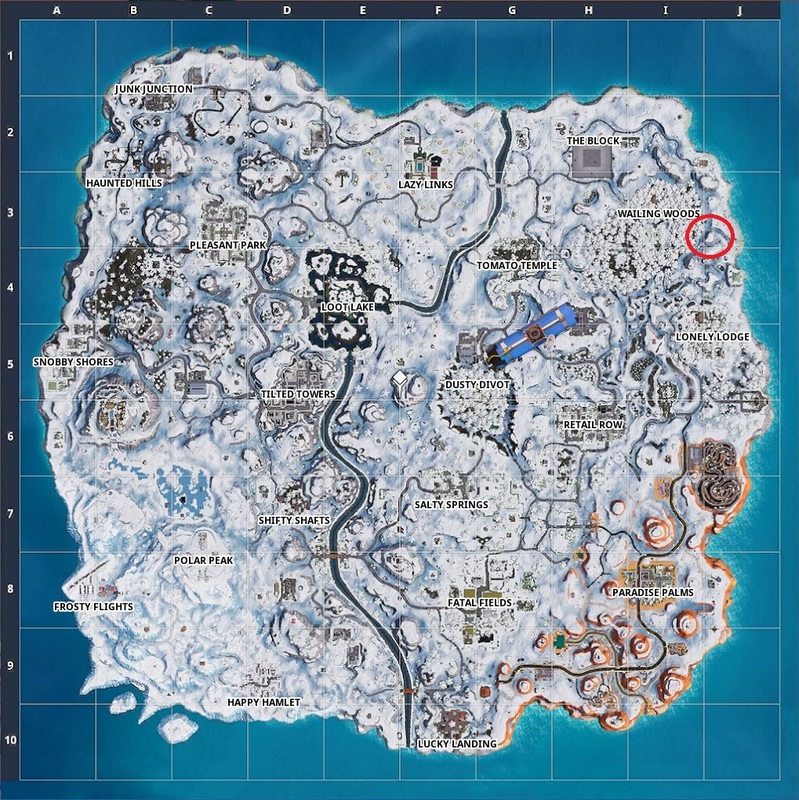 Below, you can see the final resting point of the Battle Star on the Fortnite map, that you’ll need to collect to complete this challenge. 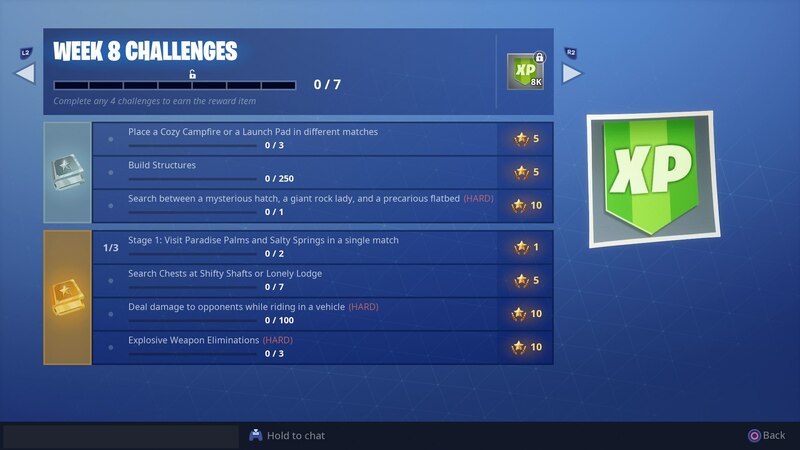 Remember that once you’ve collected the Battle Star, you need to see out the remainder of the game, and the challenge won’t be counted as complete if you quit the match. For completing this one challenge in Fortnite Battle Royale, you're going to net yourself a whole 10 Battel Stars in progress for your Season 7 reward tier. This basically equals you earning one reward rank.